We featured a comeback speech by the former Cuban leader, Fidel Castro, a year ago. That was in a piece about long-winded speakers. So, this week when it was the turn of Sonia Gandhi to make a comeback speech, we wondered. Would it be too long? Would it be long-winded? The occasion was the Youth Congress convention in New Delhi and marked her first speech since undergoing surgery in the USA in August. And, no, it wasn’t a long-winded speech. Members of the Party’s youth wing had expected Party President Sonia Gandhi to speak about her son, Congress General Secretary Rahul Gandhi…perhaps confirming him as the next Prime Minister. But it was not to be. Listened to by her son and the Prime Minister Manmohan Singh, her comeback speech outlined the achievements of the Congress Party and explained how much there was still to do. Was there a theme to this Sonia Gandhi speech? Yes–the drive against corruption–that was addressed throughout her speech. The government is working on a variety of legislation which will systematically fight corruption. Politics is not about exerting power or influence, it is about building a better world. But they were few in number. This was a measured, assured Sonia Gandhi speech to mark her return to the political leadership of the Congress Party. It was neither the time nor the place to anoint Rahul Gandhi as heir apparent. Such a note to her comeback speech would have been in sharp contrast to the anti-corruption theme in her words. And the Party president knew that full well. Update: Rahul Gandhi appears to make a reputation for the short speech! You too can discover great things to put in your next comeback speech. 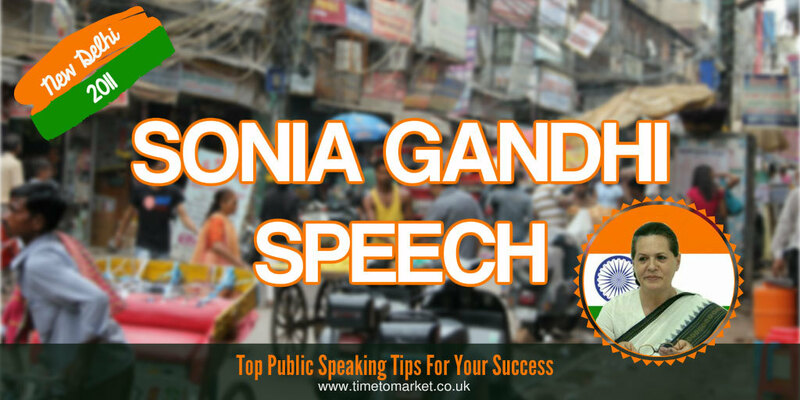 Just take a look at the public speaking tips, podcasts and videos that we’ve collated. 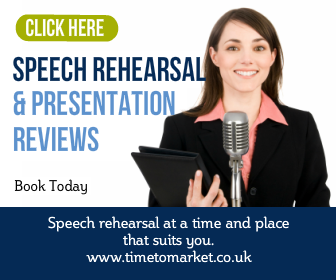 And with more than 100 top tips from which to chooses, there’s certainly something for every speech opportunity. 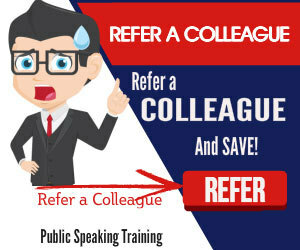 And, when you want more intensive focus on your public speaking skills, then you can always consider some training. Because you don’t need to be an Indian Prime Minister hopeful to need to hone your skills. So, when the time is right, please don’t hesitate to get in touch.